Upholstered circular coffee or low table with a glass top and upholstered sides in fabric, vinyl or leather. Manufactured in the UK for a 10-15 day lead time. 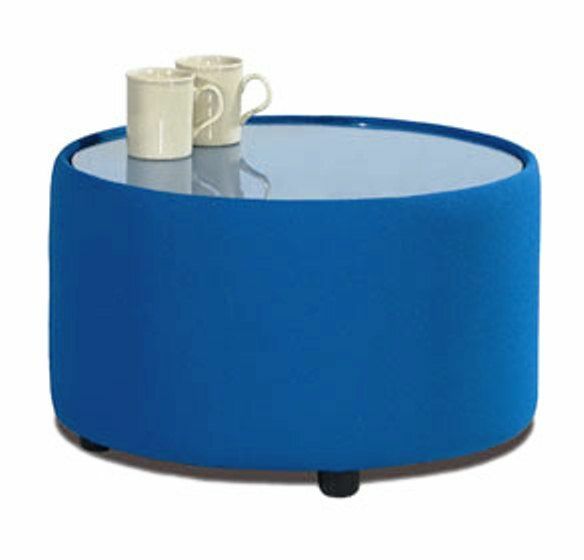 Value round coffee table with a glass top and a wide range of fabrics leathers and vinyls. Manufactured in the UK for a 10-15 day lead time.